One of the books I have been reading recently mentioned this quotation attributed to the well-known photographer Bill Cunningham: ‘Fashion is the armour to survive the reality of everyday life’. This can be found as an epigraph to one of the chapters which goes on to echo this thought, as that one of the characters ends up commenting: ‘People who say clothes don’t matter don’t understand how dressing feels to women, how it lifts us and gives us strength. How we can’t break down because when we got up this morning, we put on our favourite shoes and lipstick, chose a bag we earned with our own money, how we survived long enough to do that and will survive to do it again’. Granted, the connection made between clothing and feeling powerful is perhaps a tad exaggerated, but I do understand where it is coming from, because certain items of clothing actually wield some sort of power, in that they make us feel much better about facing our mini-battles every day. Which is how this layering combination makes me feel, ready to take on the challenges that come across my way. 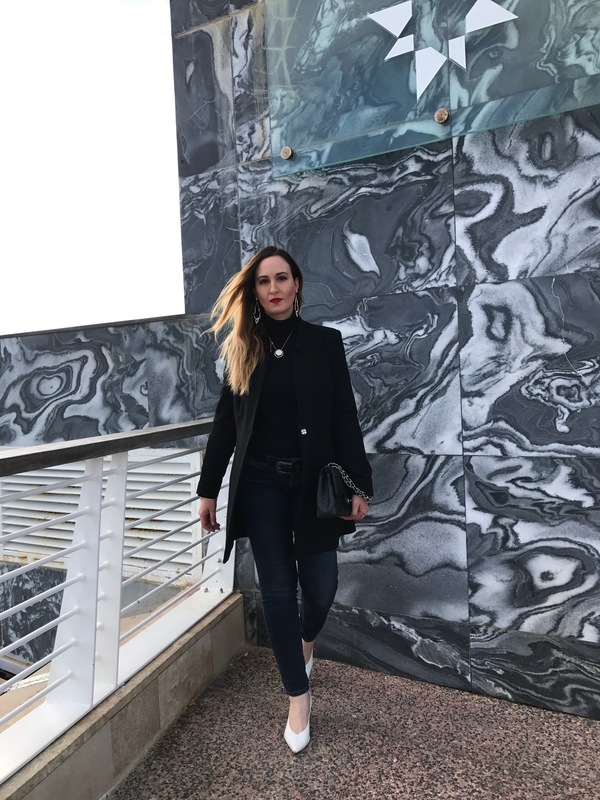 Realistically speaking, wearing a strong blazer and striking pair of white heels will not wash away certain troubles, but it will allow us to look and feel confident whilst getting on with it anyway. Similarly, when someone offers a cup of tea as though it were the solution to any problem, there is an unspoken agreement that it only helps so far, but it provides some comfort at least. Ditto with the so-called uniform, aka the outfit that is characteristically us, which provides women with an armour that in turn protects, warms, and empowers us. 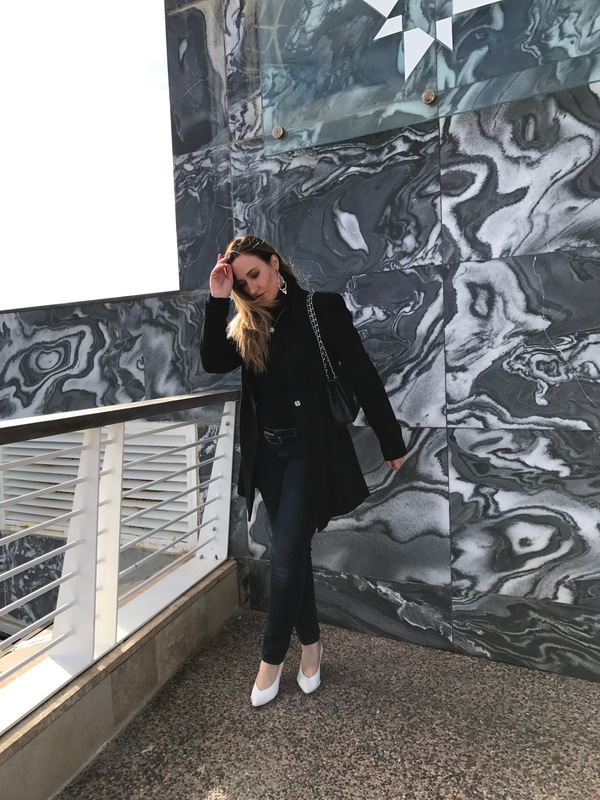 For me, the blazer and denim combination has always been my staple, long before the fashion gods proclaimed it as some quasi-perfect formula for semi-formal power dressing. As a twist to the almost-all black look, I inserted the slash of white via the heels; what is more, I have incidentally come across an article which states that the kitten heel has been chosen as the shoe of the year, among designers and retailers alike. When I got mine from Glasgow in 2017, I already had faith in this style, which has now made a major comeback. This pair is extra special to me for the reason that thanks to a photo I snapped of it during Malta Fashion Week 2017, I went on to win a really good prize from Office Shoes, which I then redeemed by getting myself my burgundy DMs (that have recently featured here).